(CNN) -- Michael Jackson's fame truly knew no borders: He was even the first international popstar to perform in post-Soviet-era Russia. In spite of all of the rumors and his "Wacko Jacko" persona, Jackson's musical draw remained strong. Jackson first visited Moscow in September 1993, just two years after the fall of the Soviet Union. Until then, it had been illegal even to purchase his songs. The historic concert sparked scenes of near-hysteria among young Russians who embraced him as a symbol of all things American. Their devotion was all the more extraordinary as few of them had seen images of what he looked like: Russian television didn't show his videos or play his music in the 1980s. According to pop music historian Dmitry Babich, "Video culture was not very developed in Russia, there were very few VCRs. Michael Jackson became a legend without people seeing him a lot. "So when Russian television became liberalized, young kids of 17, 18, 19 years of age wanted to watch only him. "The concert of 1993 was really a major event, not only in terms of pop culture but history in general. It was the first big concert of a world star in Russia," Babich told the Russian News & Information Agency. The open-air concert was held at the Luzhniki Open Arena in Moscow. Jackson was three hours late, yet the large crowd waited patiently for his arrival in the torrential downpour. Vladimir Ivanenko, General Producer for Russia's Retro FM station told CNN he remembered watching Jackson's concert on television in 1993. "It was delayed for 3 or 4 hours," he said. "It was a very rainy day in Moscow that evening and it was an open air concert. It was so wet that his assistants had to sweep the stage all the time during the songs," he said. "For people in Russia it was something extraordinary," Ivanenko continued. 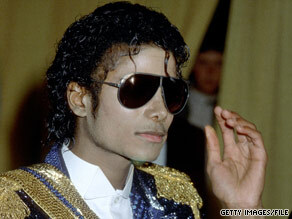 "Everyone was excited that Michael Jackson was in Russia. The quality of the show and sound was shocking for people. He put on quite a show for them. It was incomparable to anything they had ever seen." Ivanenko said: "For Russians, America was like another planet and Michael Jackson was the king of that planet ... (He) was seen as the face of the crazy American life." Part of Jackson's appeal, Ivanenko told CNN, was that there was a forbidden fruit element about him. "His music was not played during the Soviet era as there was only state radio. His music was from America and America was supposed to be an enemy," Ivanenko said. "It was all done completely illegally," he explained. "Someone would bring their long-play tape deck and record it for others, that's how it was distributed, but if you wanted to buy a real one, you had to buy it from the black market." But it was not just for his music that he proved popular among Russians, Ivanenko told CNN. "I think Michael Jackson was more popular as a personality than as a musician. For us living in Soviet-era Russia, we were much more closer to Europe and European music and culture than to American music." "His music is kind of extraordinary for Russian listeners. It was based on funk and a style that Russians were not used to. The music is not very close to Russians' soul. They mostly prefer the music of Abba and Boney M."
Ivanenko added that people in Russia were very shocked at the news of Jackson's death. "People are very shocked whether they like his music or not," he said. "Michael Jackson is a true music legend and he was too young to die."